Do you ever get that feeling, that persistent tickle, like a scratch at the back of your throat, that something’s not right? That even though everything seems all hunky-dory, everything seems normal, a sensation of unease, of wrongness—maybe your underwear’s just a little twisted, maybe you put your shoes on the wrong feet—pricks the hairs on the back of your neck? Well, if you haven’t felt that way, then you’re a weirdo. Because I’ve felt that way, and I’m no weirdo. My dad calls it his “little voice”—that inner Jimminy Cricket warning you away from sticky situations. Sometimes we listen to him, sometimes we don’t…and then seriously regret our decision not to. Such as when I thought holding a lighter in front of a can of spray deodorant would make a cool flamethrower. Yes. That was a poor decision. However, science actually confirms that something like this “little voice” exists—our subconscious. 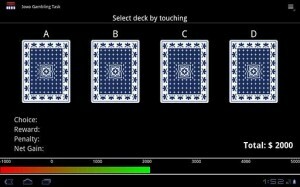 For instance, researchers presented a participant with four decks of cards and asked him/her, time and time again, to choose one of the decks and draw a card. Each card displayed a random amount of imaginary money the participant would lose or win. Unbeknownst to the participant, two of these decks had very large “wins” but also very large “losses”—if you only drew cards from these decks, you would end up with a net loss. The other two decks, however, had moderate wins and losses—if you only selected these cards, you’d end up with a net win. 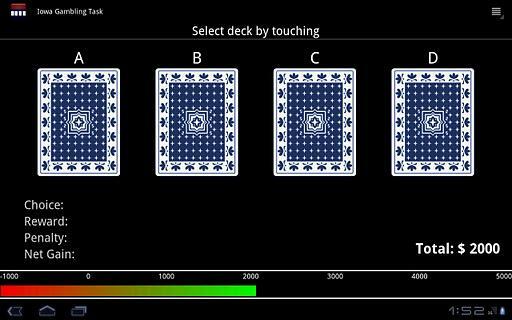 Connecting the participants to a Skin Conductance Sensor (it measures the sweatiness of skin which is an indicator of stress), researchers realized that although the participant was consciously unaware that two decks were worse than the others, the body behaved automatically as if it were in stress every time the participant reached for one of the bad decks. In fact, it took people about 40 or 50 card flips before they consciously avoided the bad decks; their unconscious, on the other hand, made this discovery after 10. Furthermore, about 20 to 30% of people never consciously figured out that two of the decks were “bad;” however, everyone at least got a “gut feeling” to avoid certain decks. All of this, then, goes to show you that you may in fact have no words to articulate the unease that a situation gives you, but nonetheless, your unconscious is aware of the truth and you should listen to it. Especially now as it tells you to inform your friends about my blog.